Sickle Cell Trait Will Bench Steelers' Ryan Clark : The Two-Way When the Pittsburgh Steelers start the NFL playoffs with a road game in Denver's Mile High Stadium Sunday, they'll do it without free safety Ryan Clark. That's because Clark, who has 100 tackles and the confidence of his coaches, also has sickle cell trait, which can cause severe complications at high altitudes. 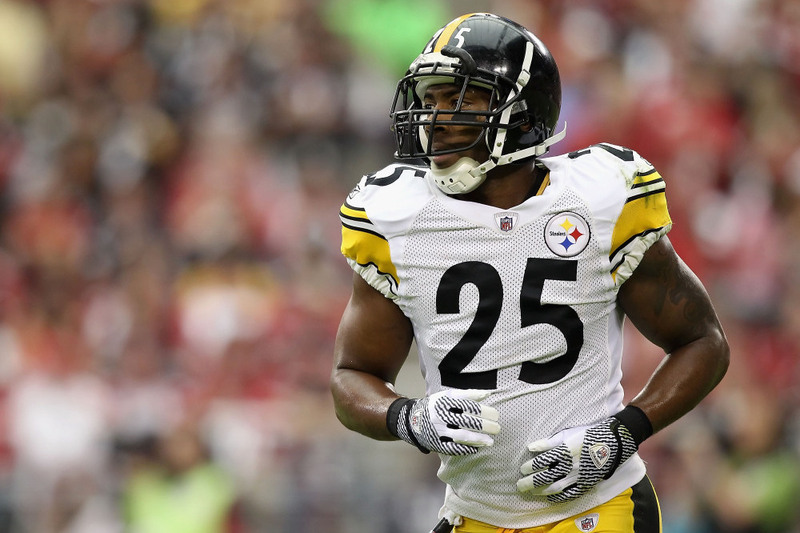 In the past two games, Pittsburgh safety Ryan Clark has 18 tackles, 14 of them unassisted. But Clark won't be playing when the Steelers face Denver at Mile High Stadium Sunday, due to his sickle cell trait condition. When the Pittsburgh Steelers start the NFL playoffs Sunday with a road game in Denver, they'll do it without free safety Ryan Clark. That's because Clark, who has 100 tackles and the confidence of his coaches, also has sickle cell trait, which can cause severe complications at high altitudes. "Clark knew about the trait, but was unaware of the severity of the risk, when the Steelers played at Denver in 2007. The altitude caused a reaction in Clark's blood that attacked his spleen. Over a few weeks, in separate operations, doctors removed Clark's spleen and gallbladder. At one point, when a doctor told him that they would pray together as Clark lay in a hospital bed, Clark feared that he was going to die. He lost more than 30 pounds and did not play again that season." "I talked to my doctors and we actually had a plan in place for me to play. All things pointed to me going until [Tomlin] told me I can't. He said he wouldn't have let his son play, and so I'm not playing either." Tomlin says the decision to start reserve Ryan Mundy and sit Clark, who leads the team in tackles, was an easy one. "It's a big game for us. But it is a game. We'll keep it in that perspective," Tomlin said at a news conference videotaped by The Pittsburgh Tribune. Clark will make the trip with the Steelers, and Tomlin says he expects Clark to help his teammates prepare for Sunday's game. According to the National Institute of Health, sickle cell trait is a condition in which someone has inherited one copy of the altered hemoglobin gene associated with sickle cell disease (also called anemia). For the disease to manifest itself, it requires two copies. An estimated 2.5 million people share Clark's condition. The NIH says the majority of them lead normal lives — until situations like those experienced by Clark pop up.